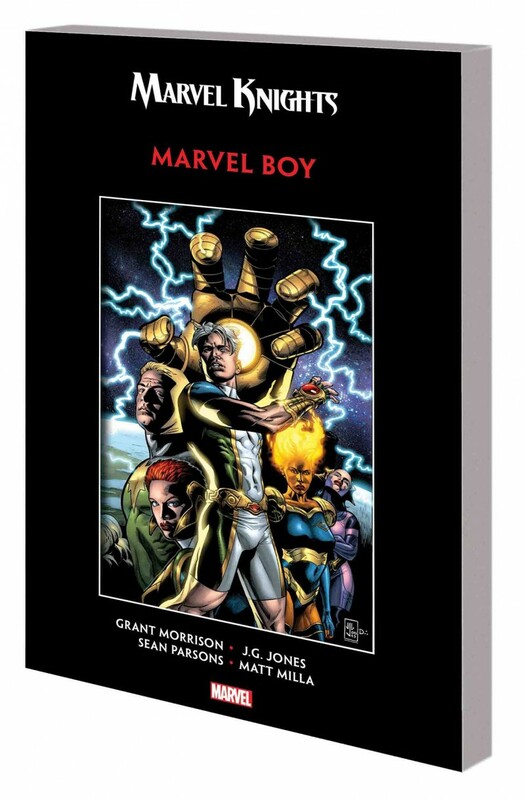 Collects MARVEL BOY (2000) #1-6. Meet Marvel Boy - A.K.A. Noh-Varr of the Kree Empire, last survivor of a doomed starship. He’s seen good friends killed by sheer ignorance and hate, and his welcome to Earth consisted of imprisonment and torture. Now he’s angry. And if necessary, he’ll take on our entire planet - in the name of love, justice and the freedom to ride in his spaceship! But who are Doctor Midas and the Exterminatrix - and what do they want with Marvel Boy? From the boundless imagination of Grant Morrison, as filtered through the stunning artwork of J.G. Jones, Noh-Varr is a Marvel Boy like no other - but will he be Earth’s latest hero, or its most terrifying new enemy?